The leaders of Nepal and India have overcome mutual misgivings, India’s foreign secretary said on Saturday, after talks to ease tensions over Nepal’s recently-adopted constitution. Prime Minister K.P. Oli visited New Delhi for talks with his Indian counterpart Narendra Modi after a months-long freeze in relations triggered by the grievances of plains dwellers in southern Nepal who have close historical ties to India. Nepal, which moved from absolute to constitutional monarchy in 1990, made changes to its constitution to ensure greater participation of the Madhesi community in parliament. But community leaders said the amendments failed to address their central fear that provincial borders would be redrawn in a way that would divide them. “Our prime minister appreciated the progress made towards consolidation of constitutional democracy in Nepal,” Indian Foreign Secretary Subrahmanyan Jaishankar told a news briefing. The Indian Air Force on Thursday landed a fighter jet on an expressway for the first time to showcase its ability to use national highways as runways in case of conflict. 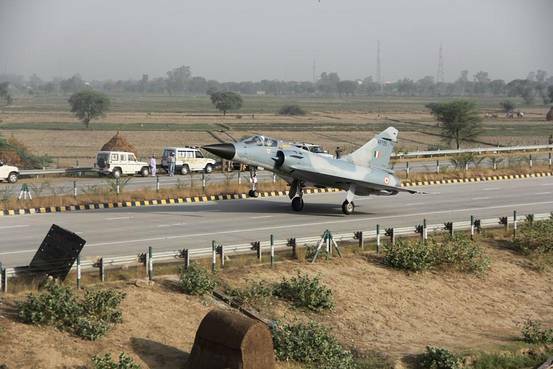 The Mirage-2000 jet landed on a cordoned-off stretch of the Yamuna Expressway that leads to Agra, the home of the Taj Mahal. The single-engine, single-seater combat plane is produced by Dassault Aviation SA of France. It can reach a top speed of 2,495 kilometers, or 1,550 miles an hour. The jet took off from an undisclosed air base in central India. Facilities such as a makeshift air traffic control center, safety services, rescue vehicles, bird clearance parties were set up in coordination with local agencies for its landing. The air force has “plans to activate more such stretches on highways in the future,” the Ministry of Defence said in a statement. The Mirage-2000 strike aircraft is a critical part of India’s fighter jet fleet. Its flying qualities and maneuverability came into prominence during the bombing of Pakistani positions in the Himalayas during the Kargil war in 1999. India’s air force fleet however comprises mainly Russian-origin aircraft such as the Sukhoi and MiG planes. via Watch Indian Fighter Jet Land on Highway to Taj Mahal – India Real Time – WSJ. In the dusty outskirts of Kathmandu, south of the Himalayan mountain range that holds the world’s highest peaks, Chinese engineers in orange hard hats oversee construction of Nepal’s first eight-lane highway. The $45 million upgrade of a road circling the Nepalese capital is one of dozens of projects helping China challenge India’s dominance in a country that is sandwiched between them. Until recently, the Himalayas served as a natural barrier that prompted Nepal to trade more across its flat border with India. via China Breaks India Monopoly on Nepal Economy as Investment Grows – Businessweek. India pledged a slew of regional investments at Saarc summit this week, seeking to counter China’s growing economic inroads into its backyard as it remains embroiled in bitter rivalry with Pakistan. Prime Minister Narendra Modi said South Asia‘s largest economy would fund regional infrastructure, health facilities and even a communications satellite, and promised to free up its markets to exporters in smaller countries in the region. Modi, who won a landslide election victory in May, has made clear that boosting India’s influence in its immediate neighbourhood is a key strategic priority for his government. Critics say the previous Congress party government began to take relationships for granted, allowing economic giant China — which shares a border with four of India’s neighbours — to step into the breach. But the failure of the South Asian Association for Regional Cooperation (Saarc) to make any significant progress during a two-day meeting underscored the scale of the challenge New Delhi faces. Cross-border trade among the eight Saarc nations — Afghanistan, Bangladesh, Bhutan, India, Nepal, the Maldives, Pakistan and Sri Lanka — still accounts for less than five percent of total commerce in the region. “Indians want to keep South Asia as their exclusive sphere of influence,” said Sreeram Chaulia, dean of the Jindal School of International Affairs in Delhi. “To do that… we need to play the economic game and we need to play the connectivity game better. We have been protectionist, and that is not good,” he said, welcoming Modi’s pledge to help smaller nations reduce their trade deficits with India. Leaders signed just one agreement, on energy cooperation, at a summit that was overshadowed by the rivalries between India and Pakistan, leading host country Nepal’s Prime Minister Sushil Koirala to say that Saarc had fallen short of expectations. Nepal, long under the political influence of New Delhi, has benefited hugely from China’s bounty over the last decade, getting much-needed new roads and other infrastructure. Even the venue where the leaders met was built with Chinese money. It is among several Saarc nations including Pakistan and Sri Lanka that reportedly support full membership for China, which currently enjoys observer status in the regional grouping. India has resisted promoting its regional rival to full membership status, which comes with the power to veto agreements. Frustrated by the slow pace of progress towards regional cooperation, it has also sought to woo its neighbours outside the Saarc framework. via Narendra Modi woos Saarc nations, pledges slew of investments to counter China – The Times of India. South Asian leaders overseeing a quarter of the world’s people struggled to agree on how to ease trade barriers in the region as India and Pakistan continued a decades-long row over a disputed border. Indian Prime Minister Narendra Modi was scheduled to meet every regional leader except Pakistani Prime Minister Nawaz Sharif for a one-on-one meeting during a gathering in Nepal starting today. Leaders of the South Asian Association for Regional Cooperation, or SAARC, last held a summit in 2011. Failure to agree on cross-border travel and electricity supply would risk derailing Modi’s plan to turn the bloc into a regional force that can counter China’s growing influence. Chinese leaders have promised to invest part of a $40 billion Silk Road fund on infrastructure in South Asia. via South Asia Summit Nearing Failure as India, Pakistan Bicker – Businessweek. When eight South Asian leaders gather for a summit in Kathmandu on Wednesday, they will meet in a conference center donated by China to its cash-strapped Himalayan neighbor Nepal 27 years ago. 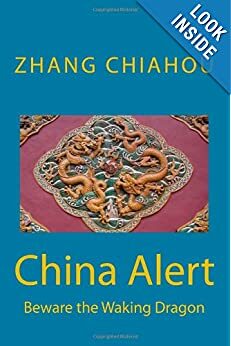 In the decades since it built the modernist brick and glass hall, China has massively stepped up its presence in South Asia, supplying ports, power stations and weapons. 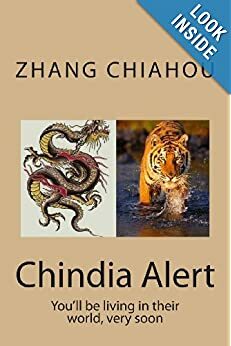 China’s advance has been aided by bickering between India and Pakistan that stymies almost all attempts at integration in a region that is home to a fifth of the world’s population but has barely any shared roads, fuel pipes or power lines. India’s Prime Minister Narendra Modi has not welcomed Beijing’s renewed suggestion its status be raised from “observer” in the South Asian Association for Regional Cooperation (SAARC), in which India is presently the only major power. SAARC summits bring together leaders from Afghanistan, Bangladesh, Bhutan, India, the Maldives, Nepal, Pakistan and Sri Lanka. Modi’s hope of using the group as a counterweight to China is unlikely to gain traction at the two-day Kathmandu meeting, with officials saying Pakistan is blocking deals to increase transport and energy connections. Pakistan mooted the idea of upgrading China’s and South Korea’s status in the organization at a meeting of SAARC foreign ministers on Tuesday. It was quickly rebuffed by India. via China looms over South Asian summit in the Himalayas | Reuters. Nepal’s government is signing an agreement Tuesday with an Indian company to build a hydroelectricity plant that will export power to India and also boost supplies in the energy starved Himalayan nation. The inking of the deal with Indian company Satluj Jal Vidyut Nigam Ltd. to build the 900 megawatt Arun III hydropower station will coincide with Indian Prime Minister Narendra Modi‘s visit to Nepal for a South Asian regional summit. The $1.04 billion project is expected to begin producing electricity in 2020. More than three quarters of its output will be exported to India, said Ghanashyam Ojha, external affairs official at the Investment Board Nepal. The Arun III agreement, which was endorsed by Nepal’s Cabinet late Monday, comes just two months after a similar deal with another Indian company. They are the two biggest private foreign investments in Nepal, and put India ahead of neighboring China, which has long shown interest in developing Nepal’s power industry. In September, Nepal signed an agreement with Indian company GMR to build the $1.15 billion Upper Karnali Hydro power plant. via Nepal to ink India power deal during Modi visit – Businessweek. For a senior Afghan diplomat sitting in India’s capital, it’s easy to explain how a region with a quarter of the world’s people can account for only five percent of global trade. So far, things aren’t looking good. Modi’s government scrapped talks with Pakistan in August, which was followed by the worst border fighting between the countries in a decade. At the same time, China has promised SAARC nations part of a $40 billion Silk Road fund to finance infrastructure investments. via India-Pakistan Sparring Opens Door for China in South Asia – Businessweek. One of the many pet projects of those inclined more to the right has been turning the dream of “Akhand Bharat“, or Undivided India, into a reality. The Rashtriya Swayamsevak Sangh’s education saffroniser-in-chief, Dinanath Batra, has even written about the subject in his book Tejomay Bharat, which will now be stocked in Gujarat school libraries. “Undivided India is the truth, divided India is a lie,” Batra writes, referring to a vision of the nation that begins as far west as Afghanistan and goes all the way till Burma, including everything in between. “Division of India is unnatural and it can be united again,” Batra suggests. Of course, no one in the government has spoken of Akhand Bharat and Prime Minister Narendra Modi has never clearly explained his understanding of the concept. There is no indication that the government intends to implement any policy that aims to reinstate this fanciful notion of what India once was and there is no reason to believe there will be. But the concept could be a rubric by which to understand the Modi government’s approach to foreign policy, particularly in the neighbourhood. From the very get-go Modi announced his intention to reinvigorate ties with India’s neighbours by inviting to his swearing-in ceremony each of the leaders from the South Asian Association for Regional Cooperation — the primary multilateral forum for subcontinental nations. Just two-and-a-half-months in, the PM has visited two of India’s neighbours, his foreign minister has visited four, and India is set to become part of multilateral organisations that will give it many more opportunities to project itself as a regional powerhouse. This is Akhand Bharat 2.0. Foreign minister Sushma Swaraj is currently in Myanmar, the fourth neighbourhood country that she has visited in the last three months. But it was the trip made by Modi to Nepal that really sent a statement, since it was the first visit by an Indian prime minister to the country in 17 years. He received an enthusiastic reception. That message was sent at the very beginning with the invitations handed out to each of the SAARC leaders for Modi’s swearing-in, all of which were accepted — with the exception of Bangladesh’s Sheikh Hasina, but only because she was on another diplomatic visit at the time. The sight of all the leaders in front of Rashtrapati Bhavan, and Modi dedicating his first day in office to bilateral talks with them, sent a very clear signal. The PM made his first foreign visit to Bhutan, a country deeply connected to India but not particularly important in terms of foreign policy. It’s not just symbolism and rhetoric either. Modi’s visits to Bhutan and Nepal have been accompanied by important agreements, such as a $1 billion line of credit to Kathmandu, as well as the promise of further talks. Discussions with Bangladesh have also indicated progress on key stumbling blocks between the two nations. Modi has also spoken of using the SAARC framework to further cooperation in the neighbourhood. His suggestion of a SAARC space satellite, for example, while criticised by some as a gimmick, certainly sent a message that he is looking beyond the potential disputes towards projects that would allow the countries to work together.